Have you heard of caravan loans? Buckle up, we’ve got some news to share with you! We’d happily wager that when people dream about the trip of a lifetime, everyone has different visions. Maybe you dreaming of sipping cocktails by a crisp, clear ocean or scaling a few mountains. Maybe you’re on the hunt for an idyllic fountain to form the backdrop for the best insta pics. Either way, a caravan can get you there in glam camping luxury – glamping, if you will. It’s the perfect way to travel in style and save a couple of bucks. Of course, the initial cost of a caravan can be steep. But, we’re getting ahead of ourselves, let’s first look at what Nifty Loans is all about. Learn more about quick loans online here! Nifty Loans is – you guessed it! – a loan company. We operate 100% online to keep things convenient, fast and easy. Our vision is simple. We are dedicated to bringing easy finance to everyday Australians that are seeking quick caravan finance. Our application process is fast, and we work hard to bring you quick approvals and have your moolah delivered into your bank account before the sun does down. That’s Nifty! Right, now we’re ready to get into the nitty-gritty of caravan finance! Worried about poor credit? Nifty could even provide you with a caravan loan for bad credit! They are the ticket to owning your next caravan and escaping on the ultimate road trip! Just you, some friends (or not!) and the open road, miles of tar and infinite destinations ahead of you. Loans for a caravan can help at anytime. Whether it’s repairing or stocking your caravan or bridging the gap between your funds and your dream caravan. 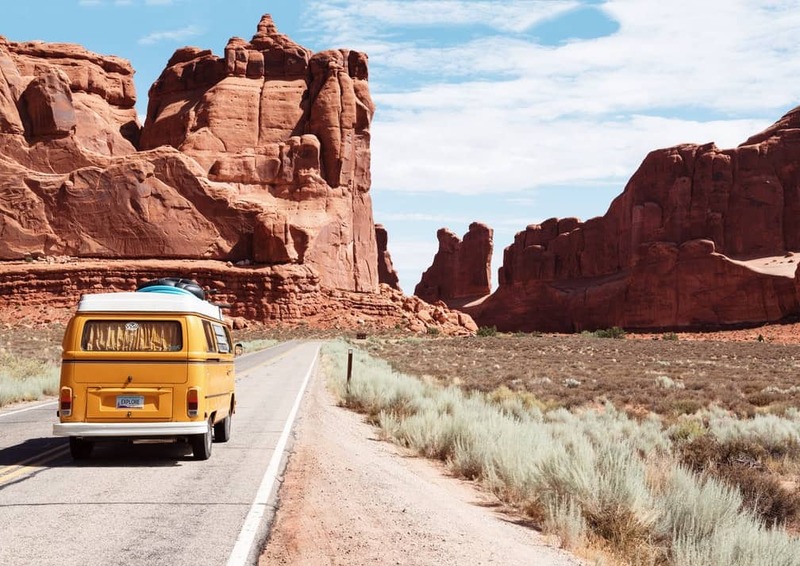 Camper loans start at $300 and travel all the way up to $5,000. If you are looking for caravan finance over $2,100 we require equity to secure the loan, such as a car, motorbike or boat. If you cannot provide security on your caravan loan, then you must borrow below $2,100. Nifty Loans and holiday loans are a perfect match. We offer travel loans because we want your money to take you somewhere. We want our finance to give you more out of life. Our loans don’t just work as a sturdy emergency plan, they can also help you make your daydreams a reality. Imagine: you’re driving down the highway, on the way to a winter’s paradise, a place where the stars shine bright and the marshmallows are toasty. And you’re towing your home with you. Are you eligible to apply with Nifty Loans? Now, it’s time for the logistics. We want to provide caravan finance to every Australian who seeks it, however, we do have four little requirements you must meet before we assess your application. And that’s it! Those four little requirements and that’s all it takes to be eligible. Once you’ve checked those off your list, you can begin our speedy application! We think our application is pretty speedy, however, we can give you a few insider tips to make it even faster! Just those four little things and you’ve already boosted your application time. So, why not try out our quick application, it can be done in minutes! Applying is easy and fast. It’s a hassle-free process that will get you caravanning in no time! To apply simply follow these 4 simple steps and that’s it. Firstly, fill out our quick application form to apply. Not only do we have a fast application, we also have a clever one. To begin your application use our loan calculator located at the top of each web page. Start by selecting how much you wish to borrow and for how long. Then, select how often you wish to make your repayments, either weekly, fortnightly, or monthly. Once you are happy with your loan terms, click the Apply button and you’ll be on your way! Once you’ve applied, we’ll let you know if you qualify for caravan finance before we begin assessing your application. So, take some time to crush your candies, but also, keep a keen eye on your notifications, because we will be sending you some important info. If you’re approved for a caravan loan, you can bet that you’re moolah is already getting on its way. Once you’ve signed your loan contract, that’s all you have to do! Transfer times may vary depending on inter bank transfer times. However, your funds will arrive in your bank account overnight at the latest, as long as you sign your contract during business hours. If you sign your contract outside of business hours or on the weekend, your funds will be processed on the next business day. And that’s it! Just those four little steps to follow and you’re on your way to escaping in your caravan. That’s Nifty! That’s right. You read that correctly. We offer no paperwork loans. If you’re not a fan of paperwork, don’t worry we’re not either, that’s why our loan process is paperwork free. We use the latest in safe banking technology to access all the required documentation online. If you need to submit your Centrelink statements as part of your income, no worries! We provide a service so you can supply your I.D number and submit it from there. We want to work smart, not hard, so we can give you a quick application and fast approvals. Any other documents you want to submit can also be provided electronically via email. Simple! On top of our fast applications and quick approvals, Nifty Loans also offers easy repayments. Gone are the days where you had to worry about remembering to transfer your repayments, we offer automatic repayments. We simply set up a direct debit to your nominated bank account, generally on the day you are paid, and the payment will be transferred from your account automatically. It’s that easy! Just remember to leave enough funds in your account for the direct debit. So say goodbye to setting reminders only to forget to make the payment and having to pay the late fee. Nifty Loans sets up a system to help you succeed and gets you closer to that debt-free day! We believe that a key to a successful relationship is honesty, and that goes for professional relationships as well! That’s why we are 100% upfront about all our loan costs and these will always be listed on your contract. You’ll find our basic costs all across our website, however, you can find them again, in case you’ve missed them, at the bottom of this page and our costs page. These have the basic costs for the following types of loans. For small personal loans: unsecured personal loans begin at $300 to $2,000. Unsecured simply means you are not required to secure this loan with equity. For medium secured personal loans: secured personal loans range from $2,100 to $4,600. Secured caravan loans require equity to secure the loan, such as a car, motorbike or boat. Have bad credit and thinking about caravan finance? If you have bad credit and you want to take an adventure in a caravan, then you’ve come to the right place for caravan finance. We are more lenient than traditional lenders, however, we still adhere to responsible lending practices. That means we do perform credit checks, but if you have bad credit keep reading. We adopt a philosophy of positive credit reporting, meaning we look at the positive points on credit report, not just the negative. We also look at your bank statements and your current relationship with money as well. So, if you have bad credit, look no further than Nifty Loans caravan finance. We believe that every Australian deserves the opportunity to invest in what they love. Receiving Centrelink payments and after caravan finance? If you receive Centrelink payments you may have been knocked back when applying for personal loans. It’s a good thing you’ve stumbled across Nifty Loans, some may call it fate. Well, however you found us, we’re just glad you did. Because if you’re receiving Centrelink payments and want caravan loans, we can help! How may you ask? Well, we consider Centrelink payments as regular income as long as you’ve been receiving them for at least 3 months! If you’re unsure whether you qualify, simply apply we’ll let you know. Now, picture this: you’ve brought your retro caravan and you can already taste the holiday feeling, but first, you need to find somewhere to travel to. Well, good thing Australia is a beautiful landscape, jam-packed with countless caravan-worthy destinations. And there are plenty more caravanning wonders to sample, but we think this is a pretty damn good start! So, if you’ve never explored much of your own stomping ground, perhaps it’s time for some quick cash? Well, we’re all talked out when it comes to caravan loans. However, our loan specialists are always on hand to chat about your loan application, account or just any questions you have about our service. Simply give us a buzz on 1300 471 328 or send us a quick message. "Was very happy with nifty great help and money was in my bank very fast. Thank you." Take a Break and Apply Today for Caravan Loans Overall rating: 4.6 out of 5 based on 232 reviews.